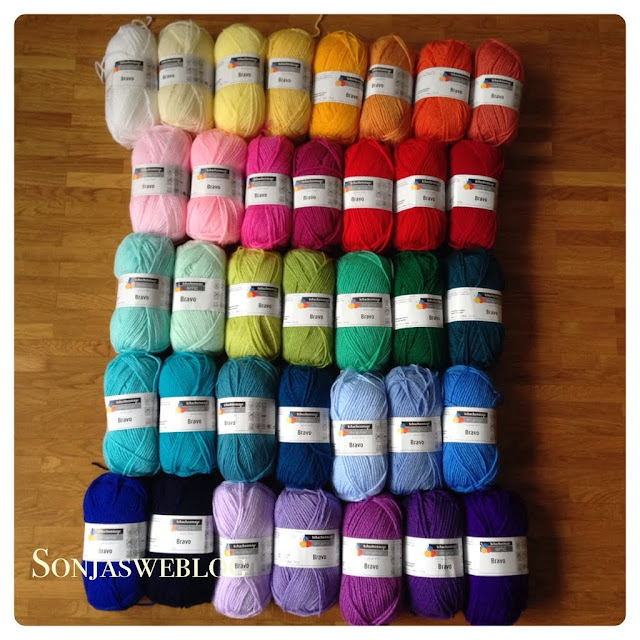 My Christmas present for myself is a new stash of yarn from Schachenmayr original called "Bravo". It's an acrylic fiber which comes in a broad range of colours. Since I couldn't decide which of the many shades of each colour I should choose, I bought 36 balls of yarn each in a different shade. Some of them differ just slightly from each other and you can see the difference in sun light only. However, I was very pleased with my choice. I never had such a broad range of colours to choose from. And the yarn is easy to crochet with. So lots of holiday crochet fun for me! 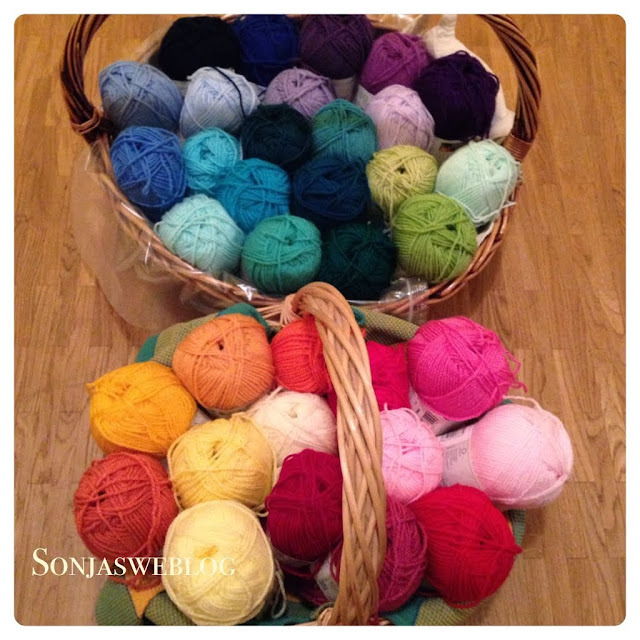 I think Pink & Floyd would love to jump inside your basket and play with the yarn :-D Beautiful colours! I love your cats Pink and Floyd - but not inside my yarn baskets! Oh nooooo!